Home » Cheap Used Auto Parts NYC » Why Crush Cars? The most obvious answer to this is to clear up space to fit as many cars in a given location, the overflow would quickly become a problem if we were to not crush the vehicles before hand. But crushing the vehicles is just one step on the way to recycling the vehicle as a whole and when it comes to recycling there is a lot more than just stripping and reselling parts. This is just a small percentage of the junk car recycling market. You see, the average vehicle is comprised of more than 60% steel and iron and this could be worth anywhere from $200 to $250 per ton. Today Americans are scrapping over 10 million cars & trucks per year, and as technology advances that number is only getting larger and according to the Environmental Protection Agency, new steel requires nearly 75% more energy than reprocessing recycled metal, also, recycled steel is less expensive because funds are not required to extract and refine the ore used in the process. Actually, all steel that is manufactured today contains at least 25% recycled material, with a lot of this scrap coming from the auto industry. When a junk car is scrapped and recycled, each part is recycled and reused in some way. 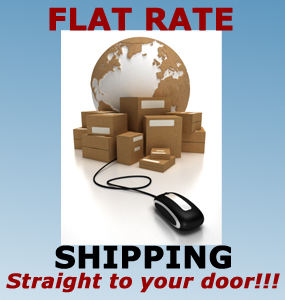 Are you still in search of auto shop and looking for vehicle parts? 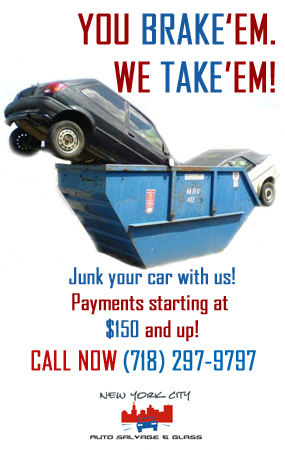 Visit New York City Auto Salvage & Glass or call us at (718) 297-9797 and we will give you a fair and honest deal.